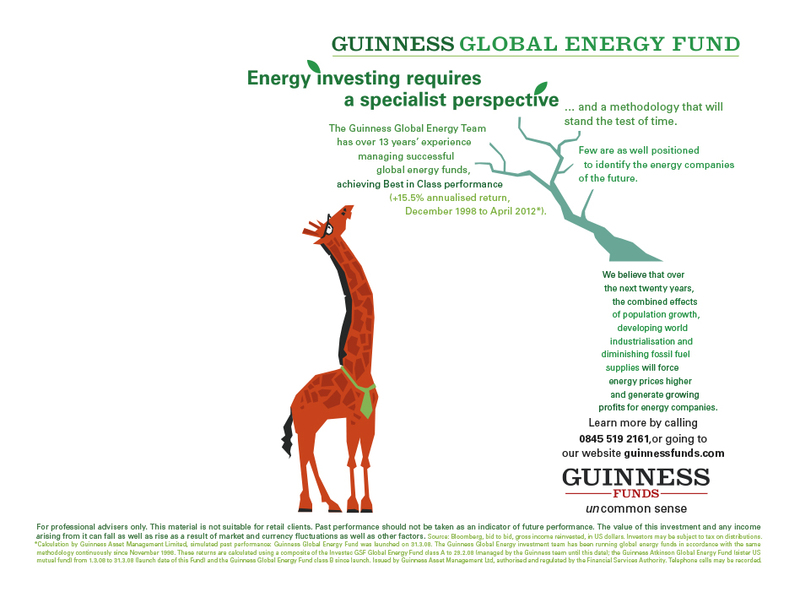 Guinness Asset Management: A Giraffe with glasses. – Trevor Mill's Portfolio. 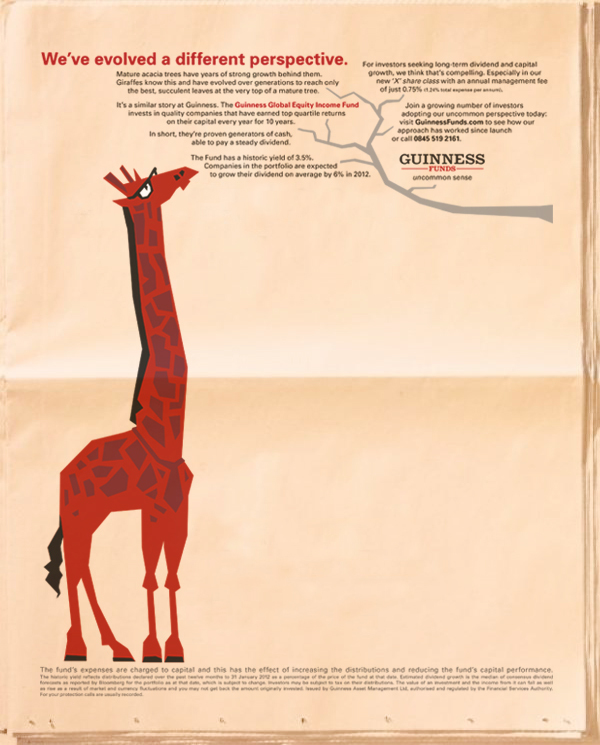 Web banner that animated (Gilbert the Giraffe looks around / the type fades in and out). A vertical strip press ad and animated web ad.